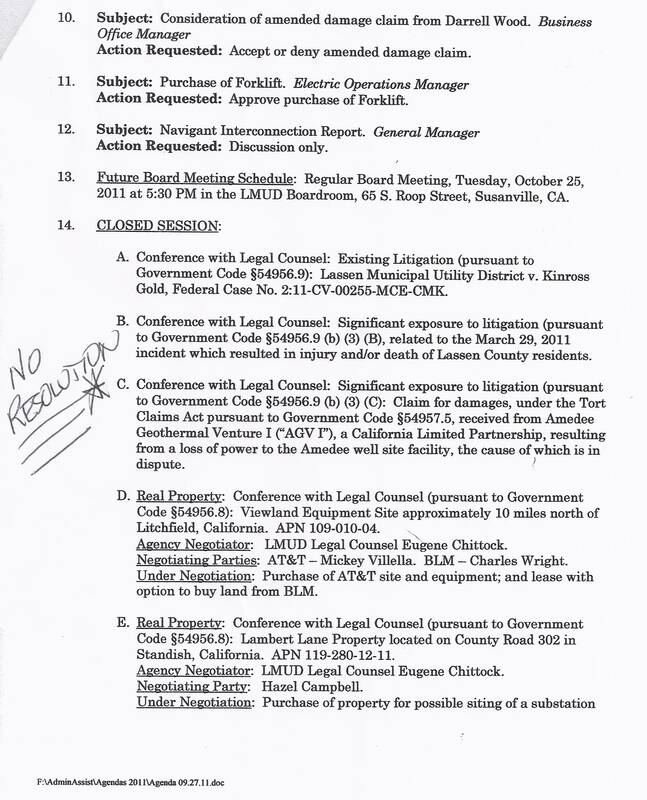 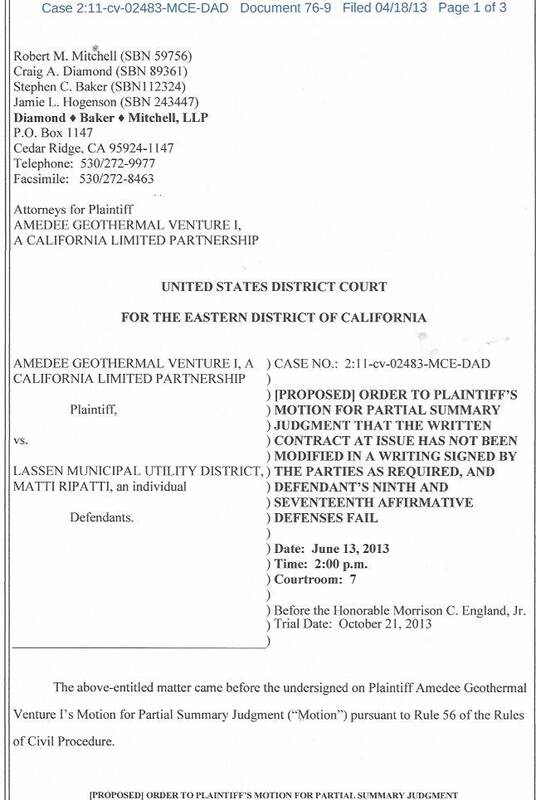 The LMUD Board went to War with Amedee Geothermal in Wendel, CA. 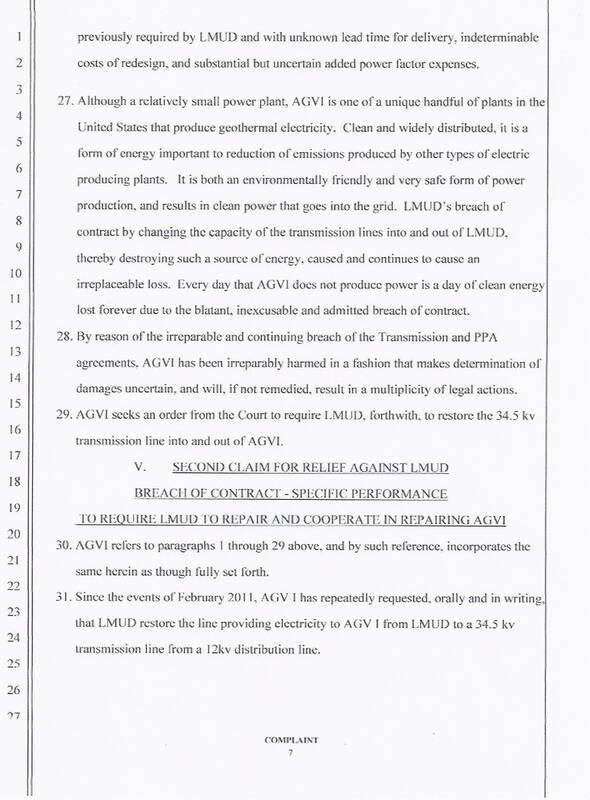 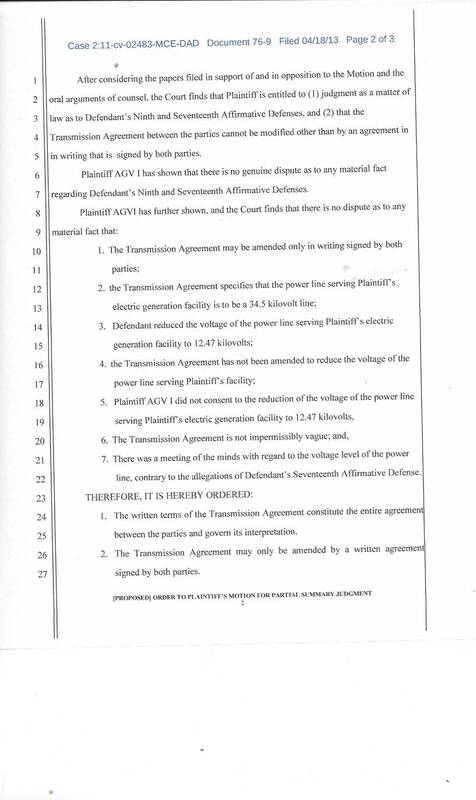 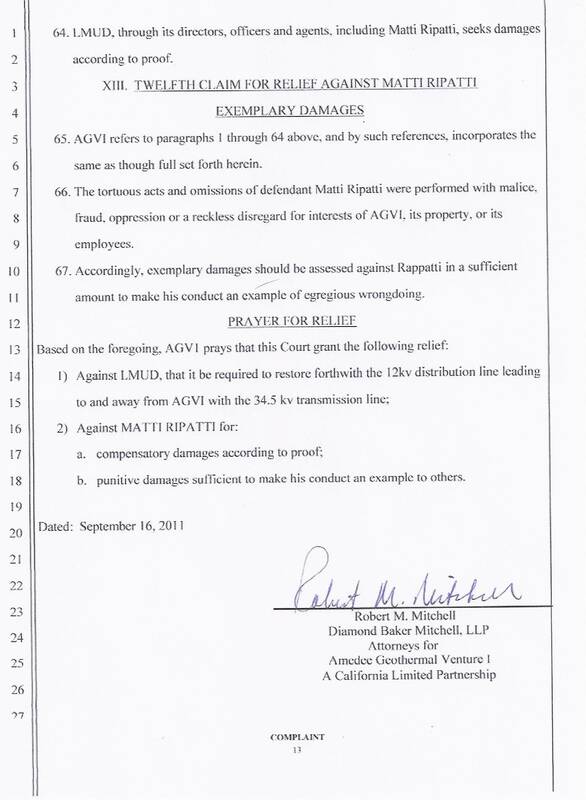 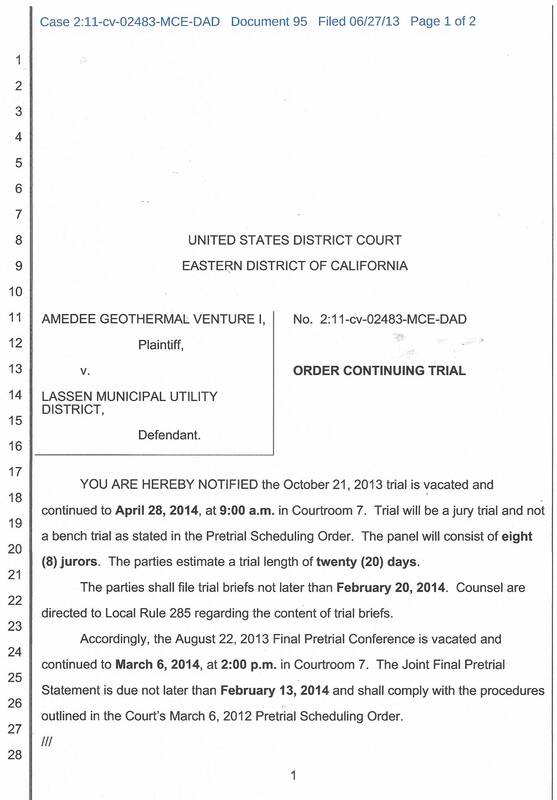 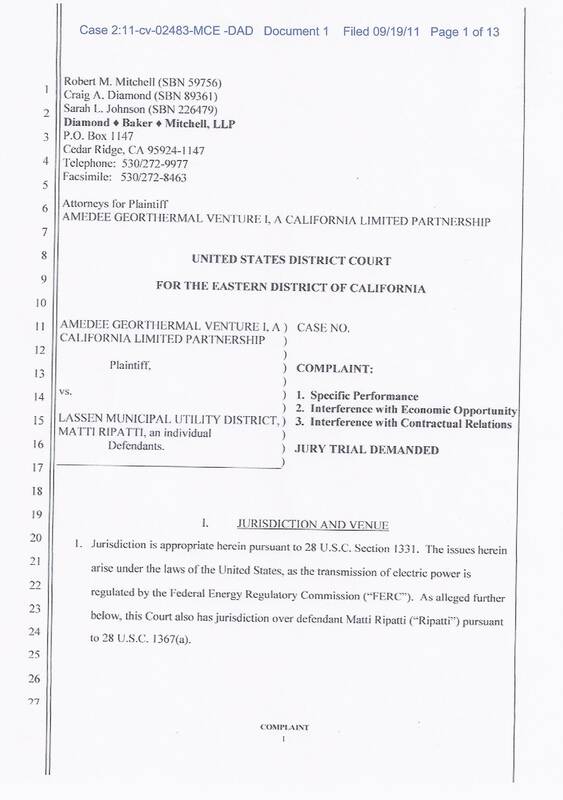 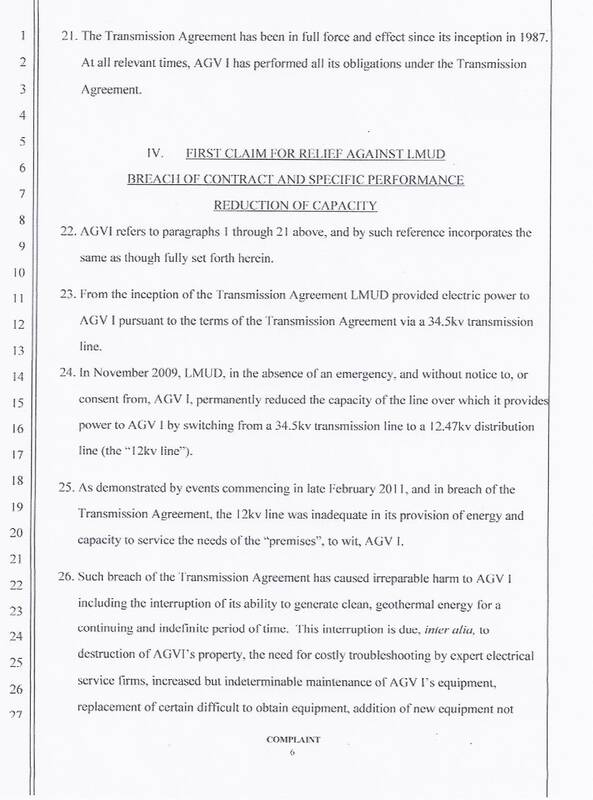 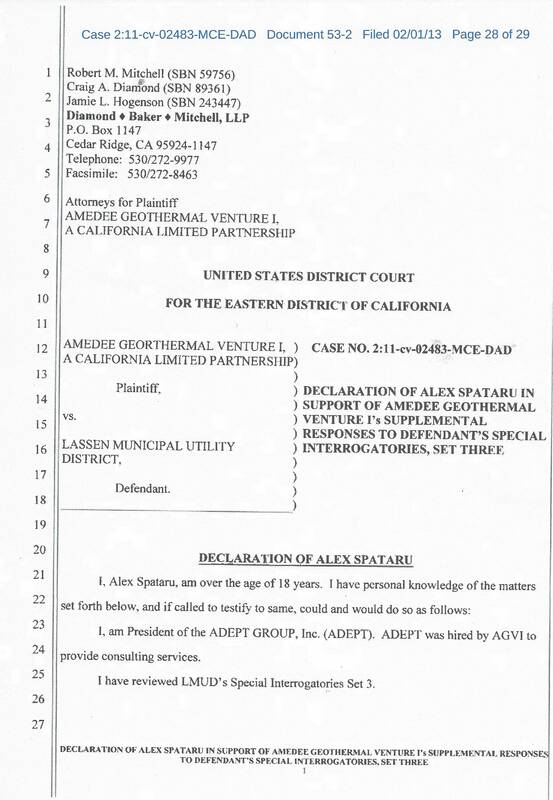 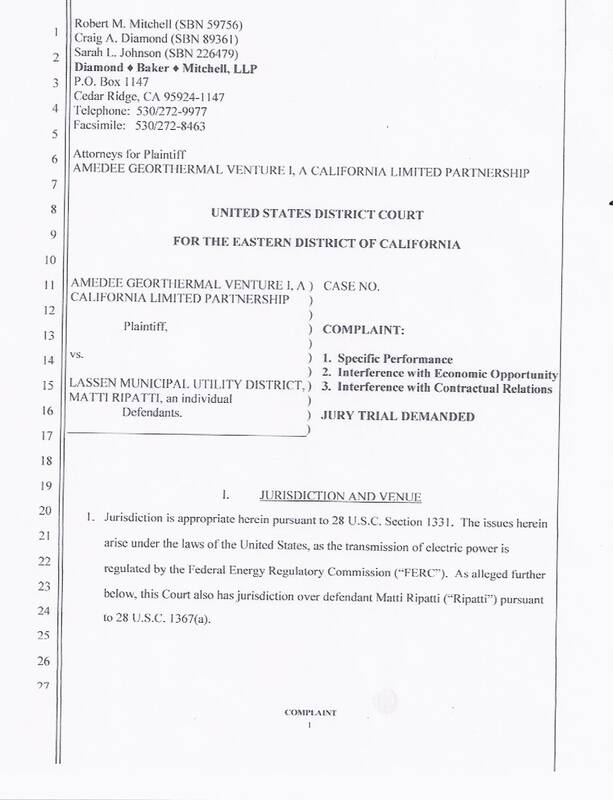 Amedee Geothermal fought back and won [Lassen County Superior Court Case 59485]. 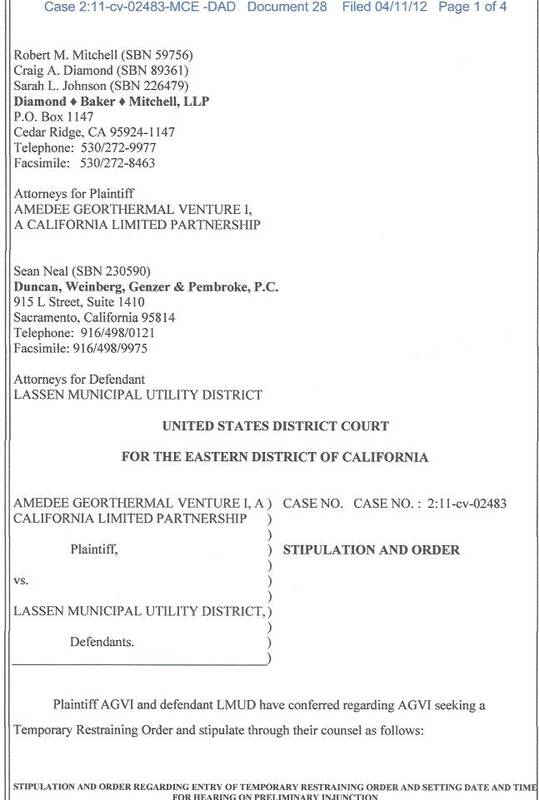 This was one of many battles with this unethical public utility. 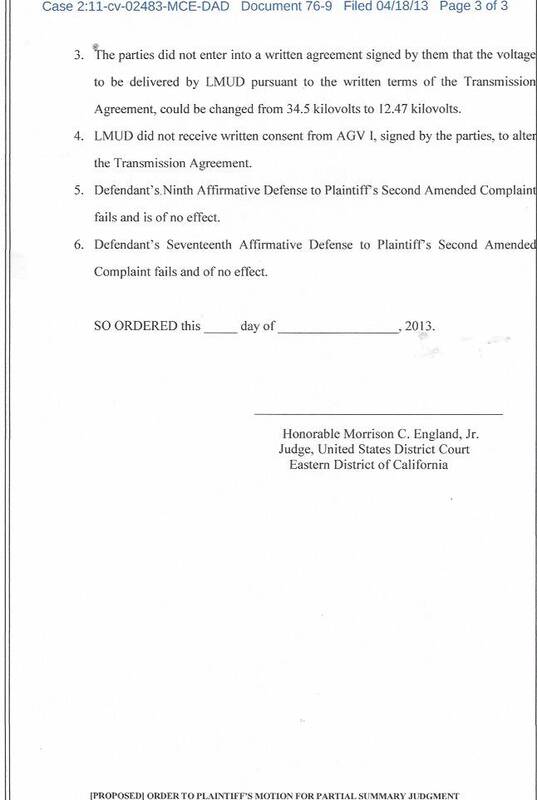 The case was filed on June 25, 2015 and went to trial on April 11, 2017. 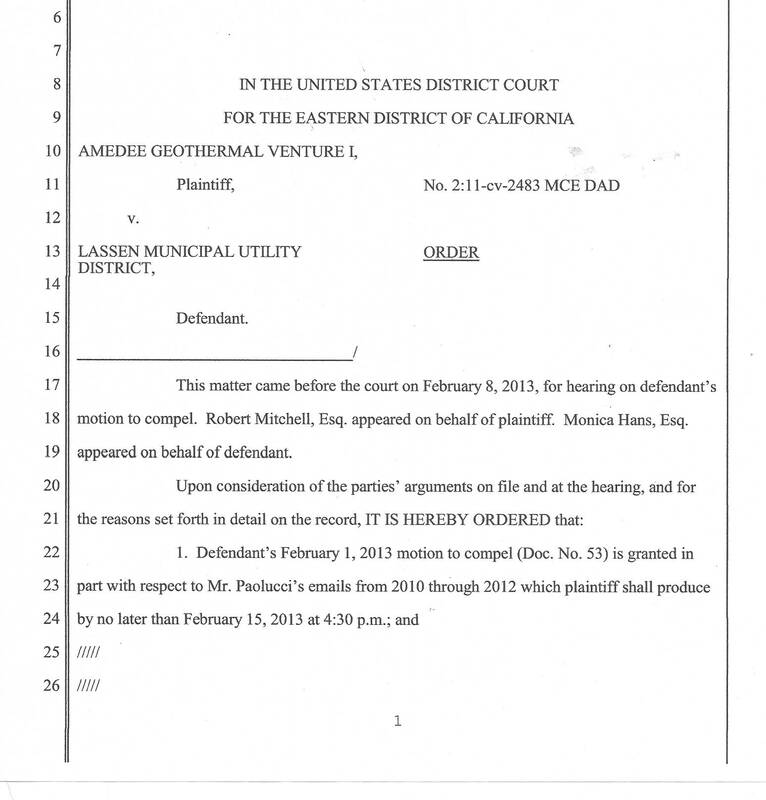 The Jury returned a verdict for Amedee and LMUD was ordered to pay attorney fees. 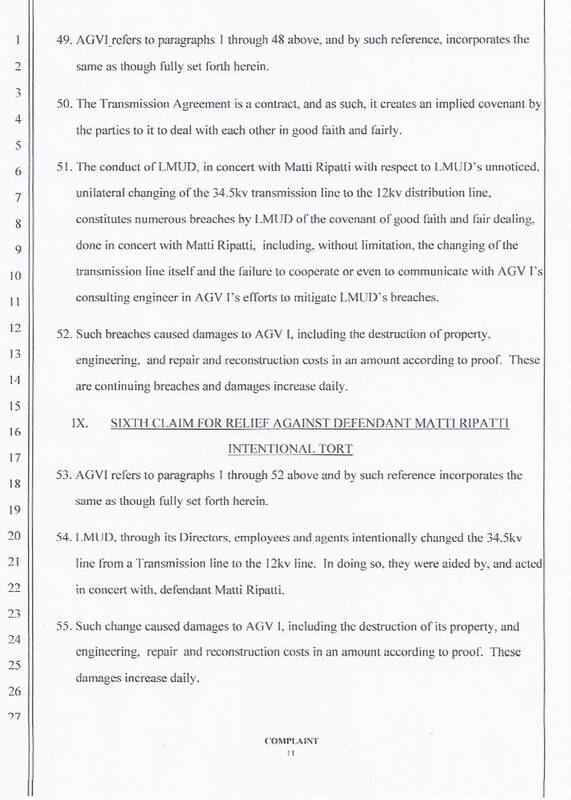 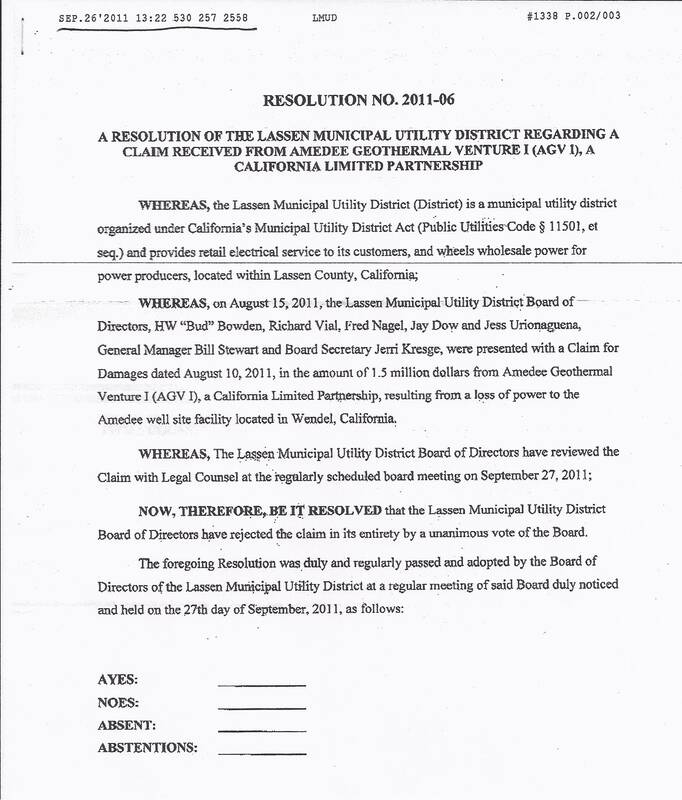 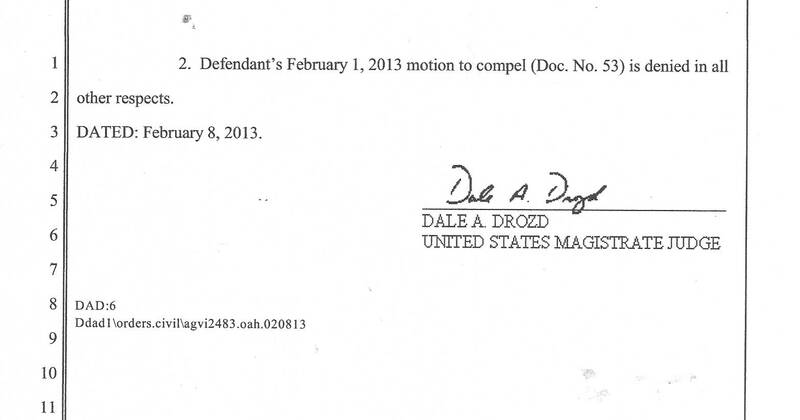 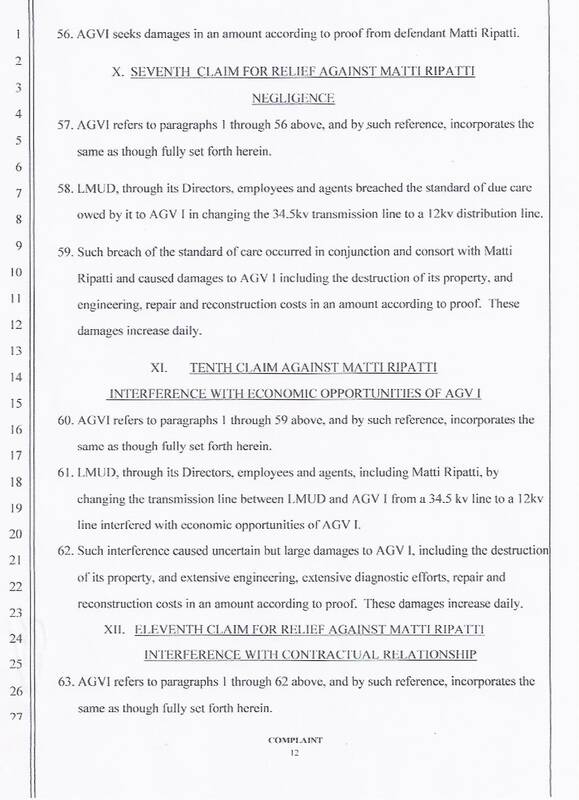 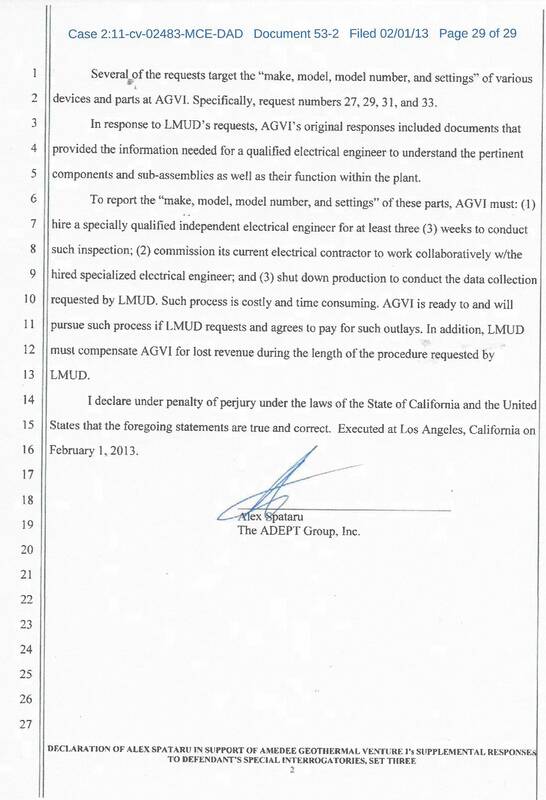 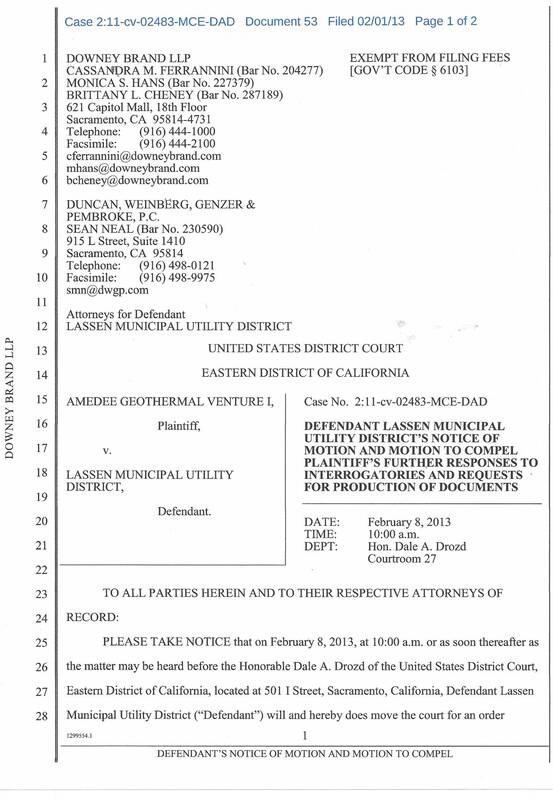 LMUD reports to the public on December 17, 2013 that it is a "potential litigation" and gives the Case Number. 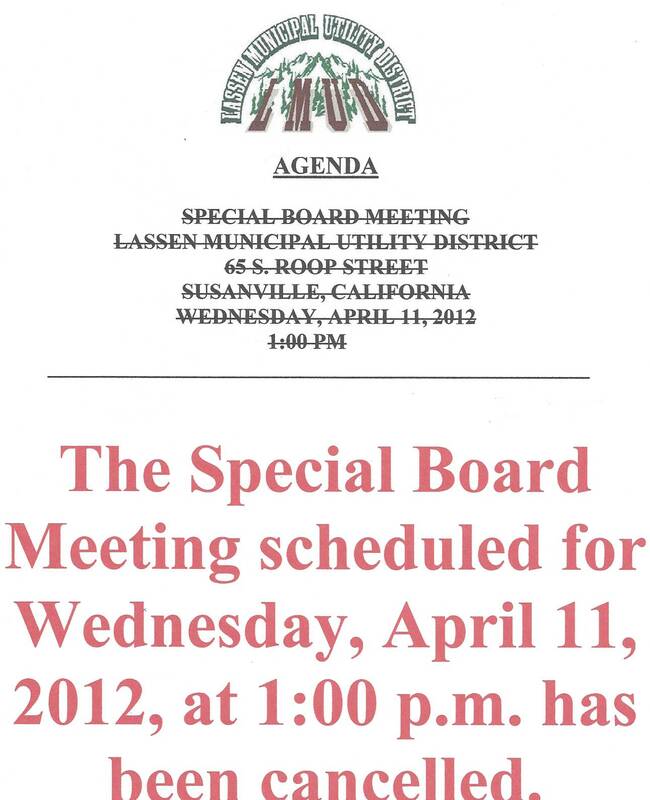 Where in the world did these Board members learn to lie with such stupidity? 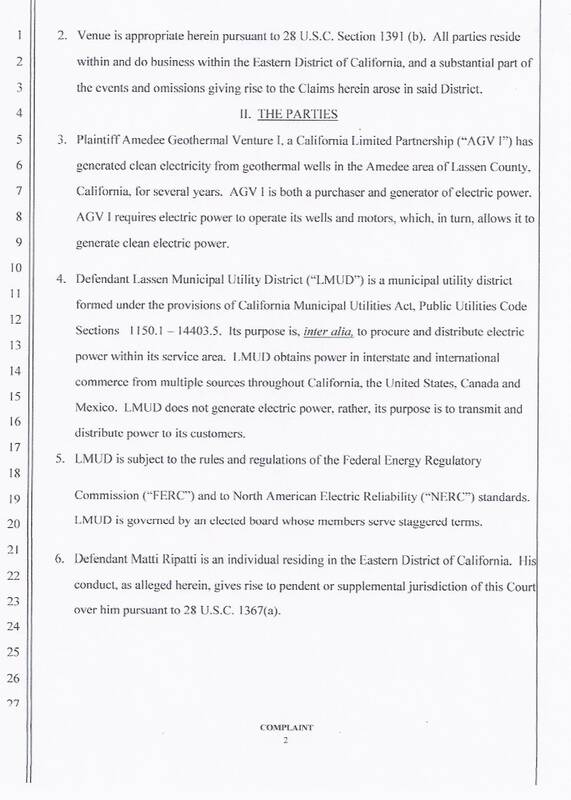 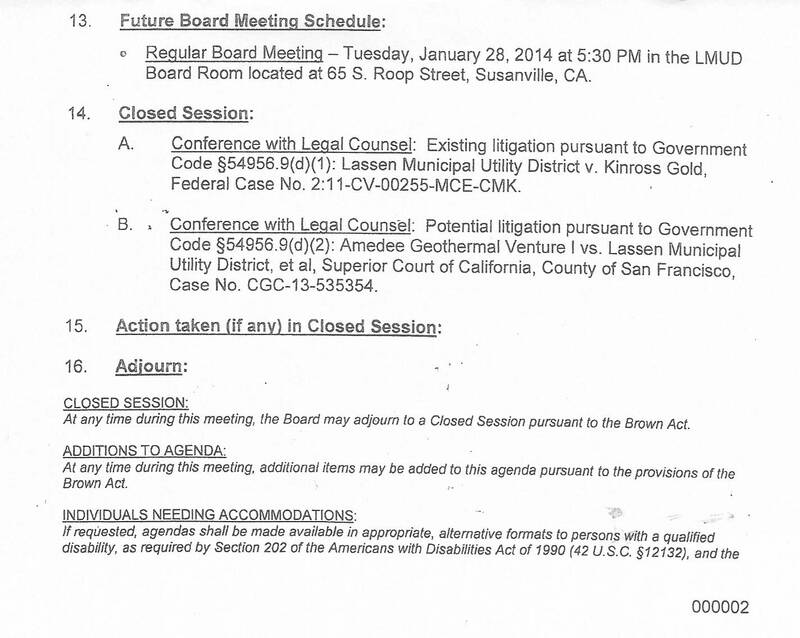 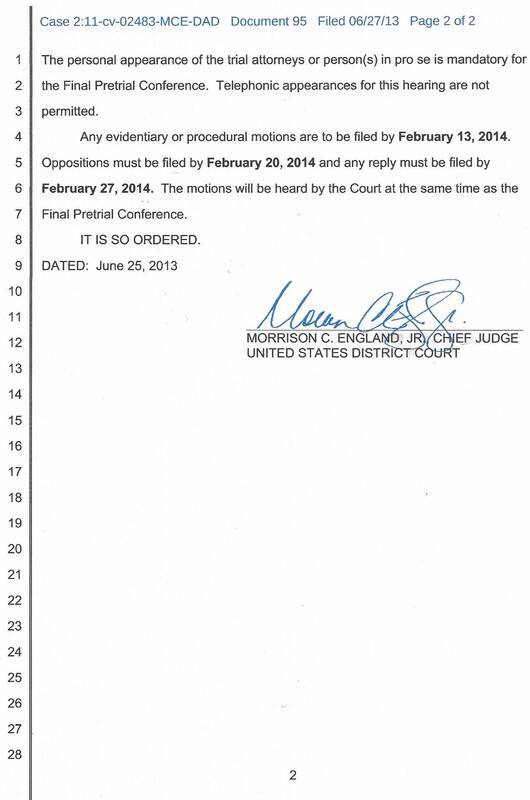 No mention of new lawsuit in LMUD's 11/26/13 Agenda? 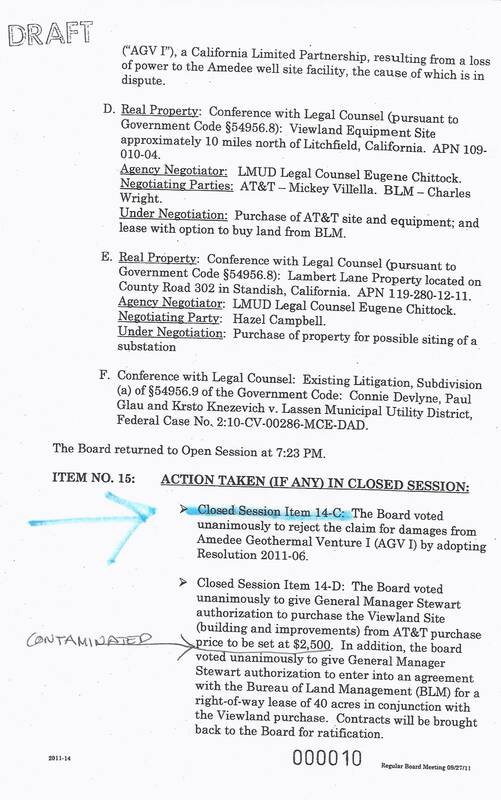 Why: Stewart has no idea what he is doing. 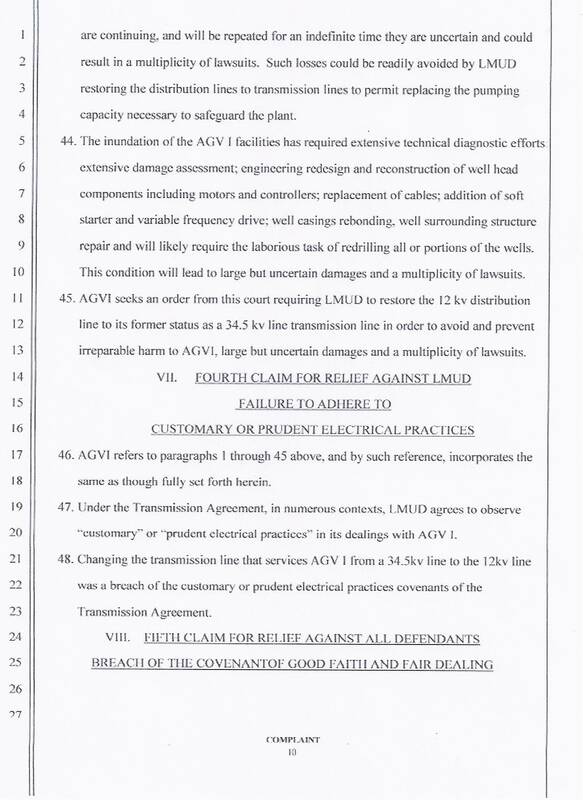 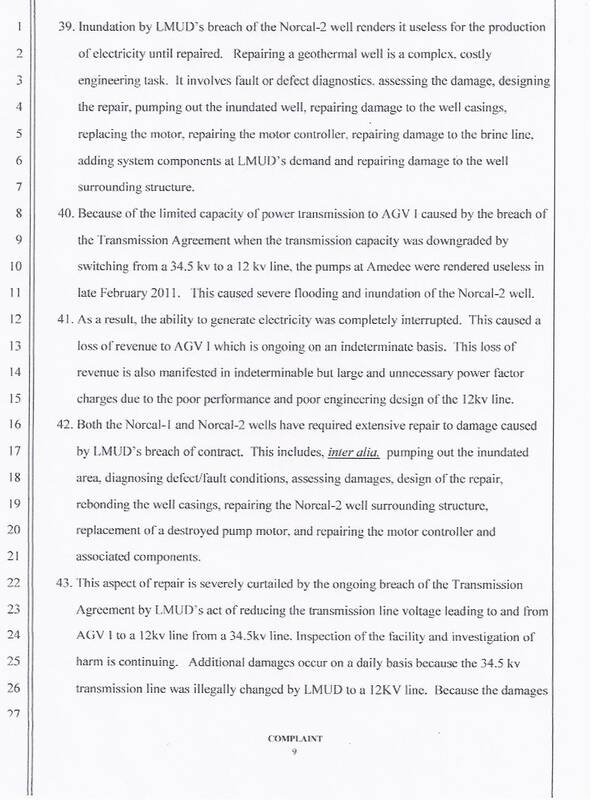 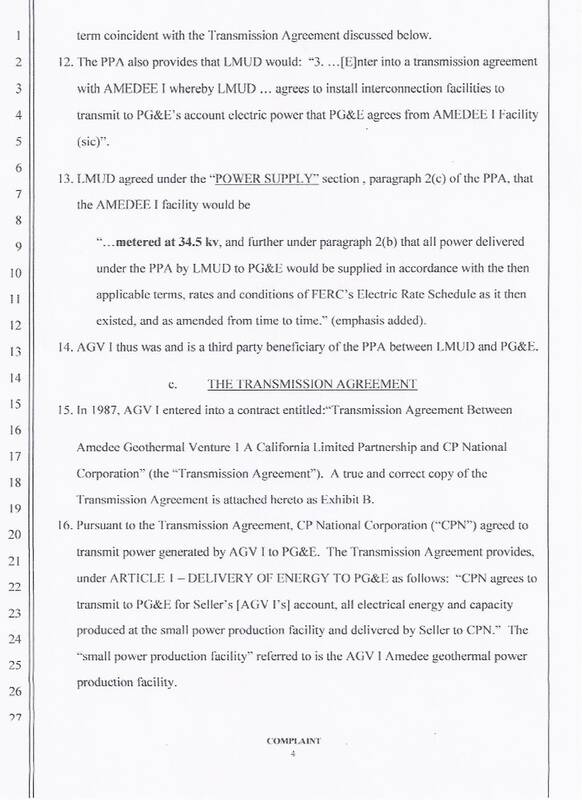 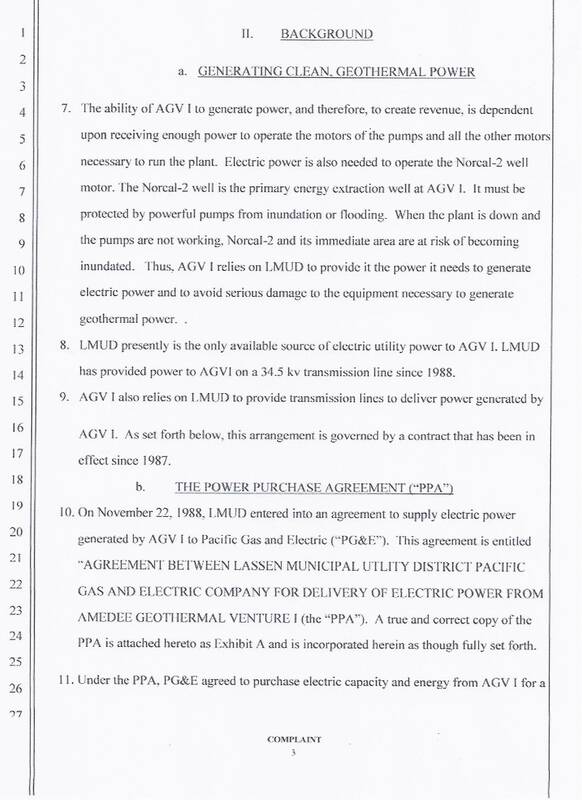 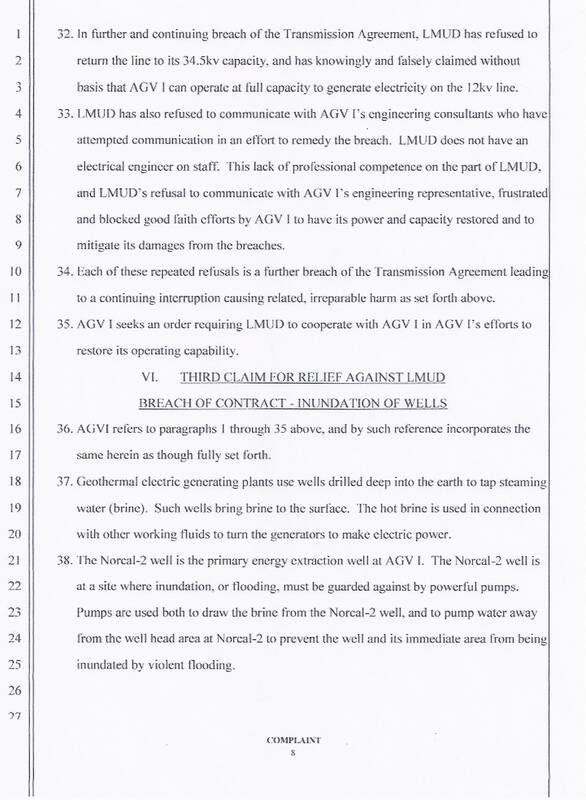 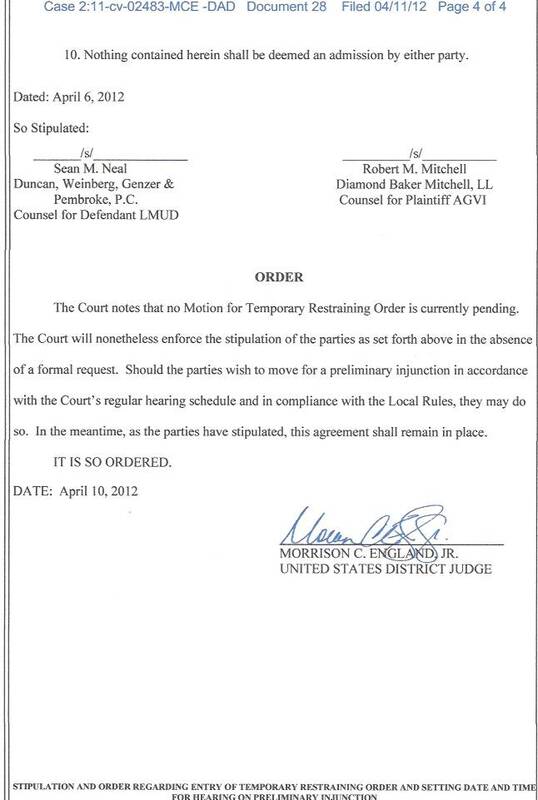 The Court granted Amedee (AGV I in Wendel) a Temporary Restraining Order against LMUD and ordered LMUD to reinstall the 1750 Power Recorder today. 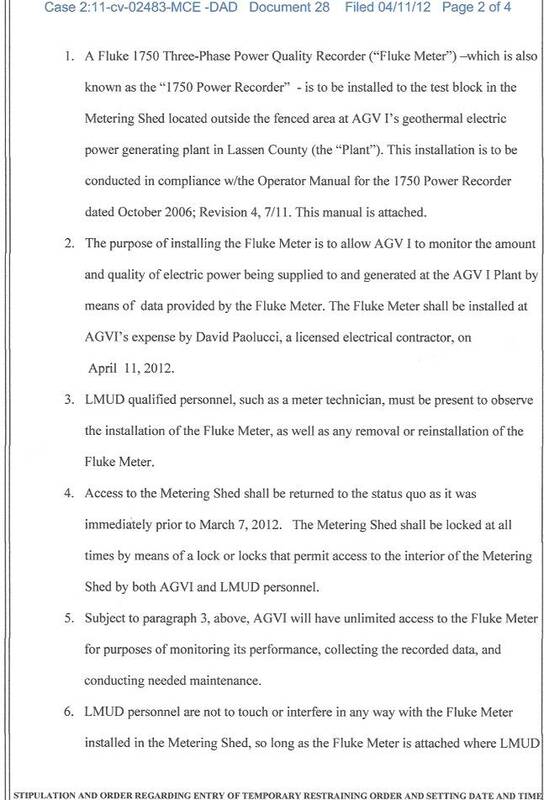 LMUD closed Amedee out of the Common Metering Faciliy (CMF) on March 7, 2012. 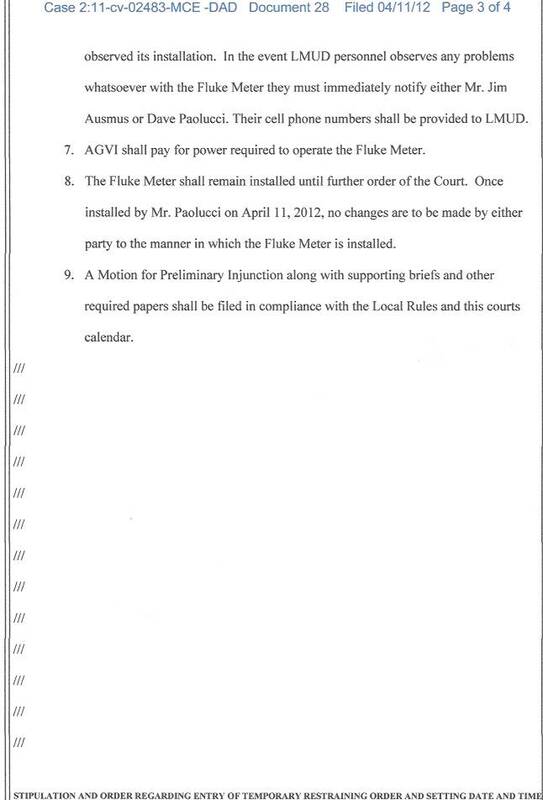 Stewart and an incompetent Board are costing ratepayers thousands of dollars.